CBS Features Former Muslim Hater Who Changed His Mind On March 24 CBS Sunday Morning featured an episode from the “The Secret Life of Muslims” series by Jewish film director and producer Josh Seftel. The episode was titled: “An Education.” It briefly tells the story of Richard McKinney, a former U.S. Marine and would-be terrorist who plotted to blow up the Islamic Center of Muncie, Indiana. But through an unusual turn of events, McKinney ended up in a place that’s utterly surprising. Click here to watch the vignette. ​From the website of the South China Post: “Holi is an exuberant festival where people splash and smear each other with coloured powder, paint and water, all in good-spirited humour. Entire neighbourhoods and even towns come together on Holi—which this year [fell] on March 21—as they frolic and fight with colours. . . . Holi is the festival of colours and the four main powder colours used represent different things. Red reflects love and fertility; blue is the colour of Krishna and symbolises infinity; yellow is the colour of turmeric, or healing; and green symbolises spring and new beginnings. . . . Holi is a festival that celebrates life. It is a time to renew ruptured relationships, resolve old conflicts, forgive and start afresh.” Of course, the foregoing barely scratches the surface when it comes to describing this much-loved Hindu/Indian festival. Click here to read the entire article. 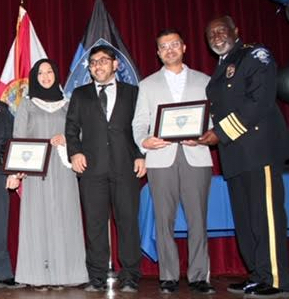 Sanford Police Chief Cecil Smith and his staff have awarded a Certificate of Appreciation to the Husseini Islamic Center for its community involvement and interfaith outreach. The recognition is a result of the mosque’s efforts to build bridges to the local community and to other faith traditions through numerous events the mosque has sponsored or participated in over the past couple of years. “We are very grateful for our community’s support and thank the [HIC] members for their continued encouragement as we plan another eventful year,” say Minaz Manekia, outreach director of the Husseini Islamic Center. The Interfaith Yoga Project has three events scheduled between now and May 4: (1) On Saturday, March 30, at 2:00 pm at Christ Unity Church (771 Holden Avenue, Orlando, FL) there will be a Family Practice. The event is free, and all genders and ages welcome. Click here to register. (2) On Wednesday, April 17, at Congregation of Reform Judaism (928 Malone Drive, Orlando, FL 32810) there will be a Passover Freedom Practice with Cantor Jacki Rawiszer at 7:00 pm. The event is free, and all genders and ages welcome. Click here to register. (3) On May 4, at 2:00 pm at the American Muslim Community Center (811 Wilma Street, Longwood, FL 32750) there will be a Ramadan Practice. The event is free, and females only are invited. Watch for registration details in the May issue of the Interfaith Council newsletter. 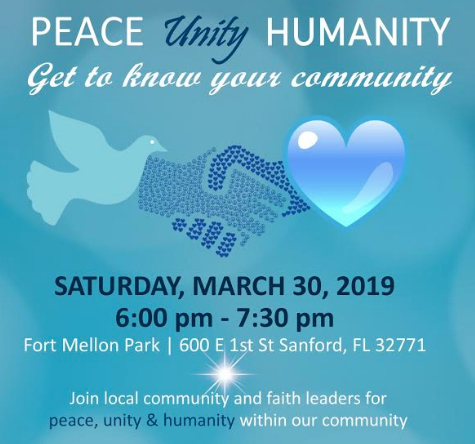 On Saturday, March 30, from 6:00 to 7:30 pm, a commemorative and community-building event titled: “Peace – Unity – Humanity—Get to Know Your Community,” will be held at the Fort Mellon Park (600 East 1st Street, Sanford, FL 32771). The event, motivated in part by the recent killings at two mosques in Christchurch, New Zealand, is an opportunity for community members and community and faith leaders to reflect on peace, unity and humanity in the Sanford, Lake Mary and Longwood communities. Representatives from different faith traditions, civic organizations and government entities will briefly speak about the need for all humans to be treated with dignity and respect, and what we can individually do to ensure that happens. ​If you live in Seminole County and are interested in going solar, then Solar United Neighbors Seminole County Solar Co-op may be just what you’re looking for. But where should you start? First, you might check out the Co-op’s website. Then you might want to attend an information session where you can interact with Co-op organizers and get immediate answers to your questions. Such sessions will be held on: Sunday, March 31, at 2:00 pm at Jean Rhein Central Branch Library (215 North Oxford Road, Casselberry, FL 32707); Thursday, April 11, at 2:00 pm at Seminole State College, Sanford/Lake Mary Campus (100 Weldon Blvd, Sanford, FL 32773); and Saturday, May 11, at 2:00 pm at the Jean Rhein Central Branch Library (215 North Oxford Roadd, Casselberry, FL 32707). ​Are you considering a career in healthcare and want to learn about some of the challenges and opportunities? Are you an advocate of everyone having access to healthcare? Want to learn just how difficult it is for some people to get healthcare? If you answered Yes to any of these questions, the following might interest you. On Monday, April 1, AdventHealth University, the Global Peace Film Festival, WUCF, the Interfaith Council of Central Florida and the Indie Lens Pop-Up are working together to provide a screening of the film The Providers (Click here to view a trailer.) The Indie Lens Pop-Up is a neighborhood series that brings people together for film screenings and community-driven conversations. Featuring documentaries seen on PBS’s Independent Lens, Indie Lens Pop-Up draws local residents, leaders and organizations to discuss what matters most—from newsworthy topics, to family and relationships. Set against the backdrop of the physician shortage and opioid epidemic in rural America, The Providers follows three healthcare providers in northern New Mexico. They work at El Centro, a group of safety-net clinics that offer care to all who walk through the doors. 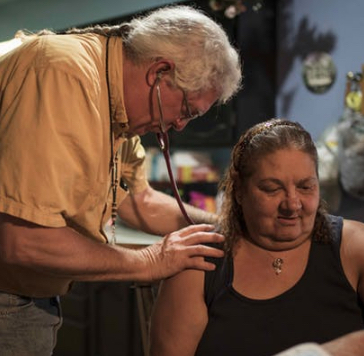 Amidst personal struggles that reflect those of their patients, the journeys of the providers unfold as they work to reach rural Americans who would otherwise be left out of the healthcare system. With intimate access, the documentary shows the transformative power of providers’ relationships with underserved patients. The film will be followed by a panel discussion, facilitated by AdventHealth University. The event, which is being presented as part of AdventHealth University’s Colloquium series, will be held at Florida Hospital Seventh-day Adventist Church (2800 North Orange Avenue, Orlando, FL 32804). The screening is free, and the public is invited. But all are asked to register in advance. Click here for more detail and to register. 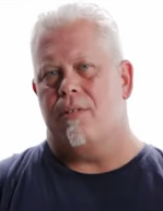 Hear the varied perspectives of the Rev. Bryan Fulwider, Rabbi Steve Engel and Imam Muhammad Musri as each week they discuss how faith impacts both the simple and the complex aspects of life. These three clergy come together as friends to discuss topics from the perspective of the different religions they represent. They contend that “good religion works for peace, respects and values others regardless of their religious perspective, and works through acts of compassion to make the world a better place for everyone.” Friends Talking Faith with The Three Wise Guys airs on Tuesdays at 6:30 pm on 90.7 WMFE FM in Orlando. Tune in on your radio or listen online. You can also listen to any show already aired. The public is invited to experience the power of a labyrinth journey, discover ways to enhance learning with a labyrinth and explore ways to integrate mind, body and spirit through labyrinth walking. Such an experience is available at a special temporary labyrinth in the new Rice Family Pavilion at Rollins College (1000 Holt Ave, Winter Park, FL 32789), on Thursday, April 4, from 4:00 to 7:30 pm. Participation is free, but registration is required. For more information, send an email here or here. The Holocaust Memorial Resource and Education Center (851 North Maitland Avenue, Maitland, FL 32751) will feature the exhibit “Artistic Expression Through Conflict: The Use of Art in World War II” until April 5. On loan from Florida State University, this is the first time this collection has been presented outside of North Florida. The exhibit features works by Peter Sanfilippo, Rolande Faucon, Mildred Shearer, USO performer Marguerite Jackson Fischer and others. All of the items were donated by their creators to the Institute on World War II and the Human Experience at Florida State University. An exhibit titled “Dr. 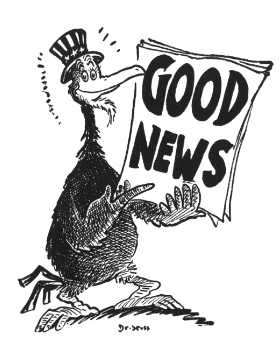 Seuss Wants You!” will be featured from April 7 to June 30. This exhibit highlights a little-known aspect of Theodore Geisel, better known as Dr. Seuss, which showcases his insightful political cartoons. Using Seuss-style characters, Geisel encourages us to consider the opinions and beliefs that were too often ignored by Americans while the rest of the world was at war. These insightful cartoons highlight isolationism and a willingness to appease, as well as racism and antisemitism. Click here to learn about programs and events. Holocaust Center hours are Monday to Thursday from 9:00 am to 4:00 pm; Friday from 9:00 am to 1:00 pm; and Saturday and Sunday from 12:00 noon to 4:00 pm. A series focusing on some of Christianity’s smaller denominations is being hosted by community members in the Lake of the Woods subdivision at their Clubhouse (300 Carolwood Point, Fern Park, Casselberry). Each denomination featured is in some way out of the mainstream of Christianity—because of their mission, theology, methodology, history or some other defining characteristic. The next presentation will be on Monday, April 8. The presentations, organized by the Interfaith Council of Central Florida, are on the second Monday of each month, beginning at 3:00 pm and last one hour. Approximately 30 minutes is used for the presentation, with the balance of the time for audience questions. The series is free and the public is invited. For more information, phone 321-228-4599. Click here for directions. On Wednesday, April 10, the monthly Interfaith Discussion sponsored by the Interfaith Council of Central Florida will be held from 7:00 to 8:30 pm at AdventHealth University (671 Winyah Drive, Orlando, FL 32803), which is on AdventHealth’s main Orlando campus. The exchanges are respectful, open and candid, and the participants represent a variety of faith traditions as well as those who question the validity of faith altogether. For directions to the meeting, click here. Admission is free. Everyone is invited. For more information, phone 321-228-4599. Freedom Song—a presentation that advertises as itself as “more than a play,” because “it will open your eyes and change your life”—will be performed at Congregation Ohev Shalom (613 Concourse Parkway South, Maitland, FL 32751) on Thursday night, April 11 at 7:00 pm. The performance will followed by a Q & A session involving the cast, which is made up of young people recovering from addiction. As they share their experience, their backgrounds and their struggles, they shatter the myth that anyone is immune to addiction. For more information about the show and to register and buy tickets, go to Eventbrite. To learn more about Beit T’shuvah, the facility where the cast are going through rehab, click here. 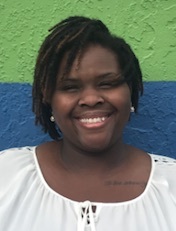 Charnelle Smith (photo)—a student intern at United Against Poverty who is in the UCF Public Administration and Nonprofit Management Masters Program—is doing research on the relationship of poverty and tobacco use. She has found that: “Nearly 32% of adults without a high school diploma . . . use tobacco every day compared to just 10% of adults with an undergraduate degree and 6% with a graduate degree. Traditionally, those with lower educational achievements experience poverty at a significantly higher rate than those with advanced degrees. Although people with low-income have access to health care, they are more likely to lag behind those in the middle class in their access to effective smoking-cessation treatments. They also may face challenges in accessing care for co-occurring mental health problems (i.e. depression), which make quitting smoking more difficult. . . .” United Against Poverty is exploring opportunities for smoking-cessation programs and ways to encourage it clientele to put down their cigarettes for a healthier life both physically and financially. Click here to read more about her findings. On April 11, India, the world’s second-most-populous nation—and its largest democracy—will have taken just one month to get everything set up for its 900 million potential voters to go to one of more than one million voting stations, where, nationwide, politicians from some 2,300 political parties will receive votes. As a former director of elections has said: “India is valued the world over for a great many things, but for three over all others: The Taj Mahal, Mahatma Gandhi, India’s electoral democracy.” Indeed, the system of voting has been honed to a fine art. 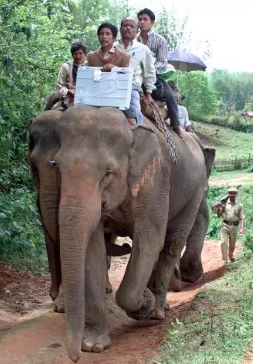 Even elephants have been booked and are standby to get voting materials and machines to the most remote and inaccessible areas surrounded by the most forbidding terrain. Read all about it by clicking here—and then be amazed! The 2019 Better Man Event will be held at the CFE Arena at the University of Central Florida (12777 Gemini Blvd North, Orlando, FL) on Saturday, April 13, from 6:00 to 9:00 pm. And just what is the Better Man Event? The organizers describe it as a Christian non-profit organization that invites men to a higher calling. “The Better Man Event is an annual three-hour power-packed men’s event designed to equip, encourage, and engage men to become “better.” Over the past 14 years the Better Man Event has featured keynote speakers from across the country to speak directly into men’s lives about what it is to be a better husband, father, brother, friend, co-worker and follower of Christ.” Click here for details and to book tickets (which may be sold out soon). Week of the Family Sponsoring Essay Contests in Orange Co. The Week of the Family is sponsoring essay contests for Orange County students in four categories—K-2, 3-5, middle school and high school. The theme of the 2019 Week of the Family (November 2-9) is: “Family: Be Present.” The essay competition in each age category invites the participants to—in 250 words or less—complete the statement: “I should be present with my family because . . .” Click here for the contest rules and application information. The deadline for essay submission is April 15. Urban League: After Groveland, Where Do We Go From Here? The Central Florida Urban League, supported by an array of other community organizations including the Interfaith Council of Central Florida, is hosting a major event to address racial and religious prejudice. The event will be held on Tuesday, April 16, at St. Mark AME Church (1968 Bruton Blvd., Orlando, FL 32805). 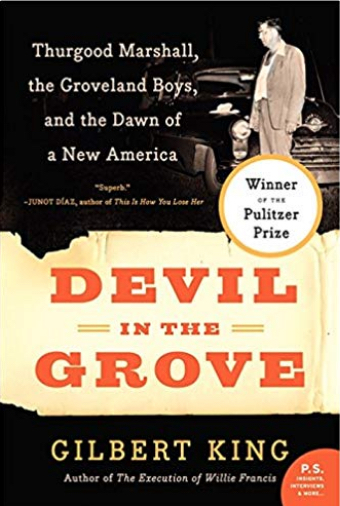 Participants include: Gilbert King, Pulitzer Prize-winning author of The Devil in the Grove; Dr. Randolph Bracy, Jr., Dean of the School of Religion, Bethune-Cookman University; Justice James E.C. Perry (retired), Florida Supreme Court; Pastor Roderick Zak, President, African-American Council of Christian Clergy; Shannon Green, Columnist, Orlando Sentinel; Paul Perkins, Jr., son of the co-counsel in the Groveland Four case; Dr. Joel Hunter, Founder of the Community Resources Network; and The Three Wise Guys, from the WMFE radio program Friends Talking Faith. Tammie Fields, Spectrum News 13 News Anchor, will moderate the discussion. The event is free and the public is invited. IDEAS For Us, a locally based non-profit whose mission is “to develop, fund and scale solutions to the world’s most pressing environmental and social challenges,” will host its inaugural fundraising Golden Earth Night Dinner on Wednesday, April 17, at 6:30 pm at the Historic Dubsdread Ballroom (549 West Par Street, Orlando FL 32804). To celebrate earth month, IDEAS For US is bringing together Orlando’s leaders in sustainability, business and health to showcase the organization’s environmental goals for the year with the hope of making the future of the natural world golden. The celebration will include a plant-based dinner, engaging guest speakers as well as entertainment by a jazz band led by Will Patrick. This is a ticketed event, and the proceeds will go to develop action projects to combat environmental impacts throughout Central Florida. Tickets can be purchased here. To learn how you or your organization can become a sponsor, click here. 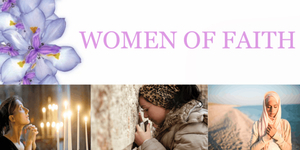 On Wednesday, April 17, from 6:30 to 9:00 an interfaith women’s symposium will be held at the Multipurpose Room, Orlando Regional Medical Center (52 West Underwood Street, Orlando, FL 32806). The event will consider women’s views on such societal issues as poverty, the environment, peace and justice. A meal will be served. The event is being organized by the Golden Rule Initiative of the Peace Institute at the Islamic Society of Central Florida. Admission is free, and women of all faiths are invited. For more information and to register, go to Eventbrite. April is a month of a great variety when it comes to religious holy days and days of special emphasis. This year, Passover and Easter both fall in April. April is also designated as Poetry Month and Humor Month. April 22 is Earth Day. So when Pastor James Coffin, Executive Director of the Interfaith Council of Central Florida, speaks on April 21 (Easter Sunday) at the University Unitarian Universalist Fellowship (11648 McCulloch Road, Orlando, FL 32817), he’ll address all of the April emphases already mentioned, plus another one or two. And he’ll take no more than 30 minute to do it! His presentation is titled “An April Medley.” The service begins at 10:30 am and lasts one hour. If you’re thinking of coming to UUUF for a visit on April 21—or any time, for that matter—why not come early for a bonus? At 9:00 am each Sunday, UUUF hosts an hour-long class called Inquiring Minds. The class engages in a lively, no-holds-barred discussion of a range of subjects that impact life both practically and philosophically. So consider getting up a bit earlier and availing yourself of the opportunity to enjoy the Inquiring Minds class. The Religious Freedom Center of the Freedom Forum Institute—a non-partisan, non- sectarian organization dedicated to educating the public about religion, law and civic engagement so communities will be equipped to protect the rights of people of all religions and none—will host two three-day institutes this summer for K-12 educators interested in teaching about religion. 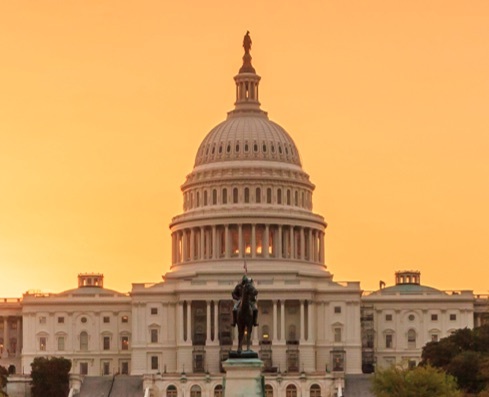 One of the institutes will be in partnership with the National Council for the Social Studies and held July 9-11 (click here for more detail). The other will be in partnership with several independent school networks and held July 23-25 (click here for more detail). Both institutes will seek to cultivate three competencies: (1) legal literacy, so people understand the history, meaning and significance of the religious-liberty principles of the First Amendment; (2) religious literacy, so people recognize how religion operates in people’s private and public lives; and (3) the skills of civil dialogue, so we are able to have informed, respectful conversations about legal and religious issues. Both Institutes will be held at the Summer Religious Studies Institute at the Newseum in Washington, D.C. Please forward this email to any you feel would be interested. To be placed on the Interfaith Council’s email newsletter list, send your request to contact@interfaithfl.org.